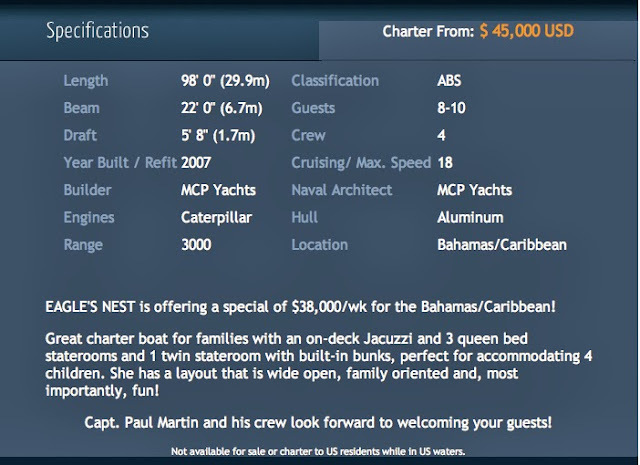 The charter yacht EAGLES NEST, a 98-foot MCP motor yacht, is offering a special rate of $38,000/wk (plus all expenses) for Caribbean charters. 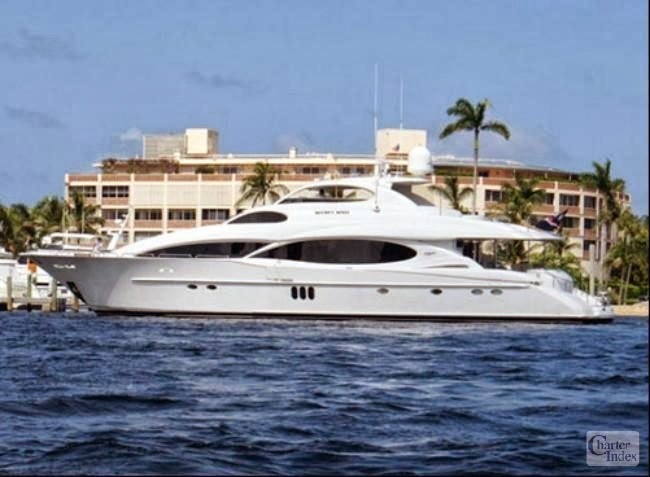 The charter yacht Secret Spot, a 106-foot Lazzara motoryacht, has a special rate for week-long (or more) charters taking place in January 2012. Secret Spot is based in Nassau, Bahamas. 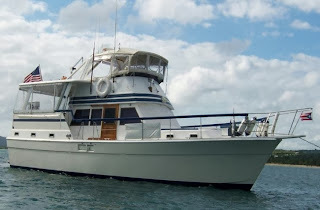 Sleeps 8 Guests in 4 Staterooms plus Office/Study off the Master with a sleep sofa that can accommodate 2 guests. A nice way to begin the new year... Looking forward to your inquiries! The charter yacht BANYAN, a 102-foot Palmer Johnson classic, is available for charter in Florida, the Florida Keys, and the Bahamas. 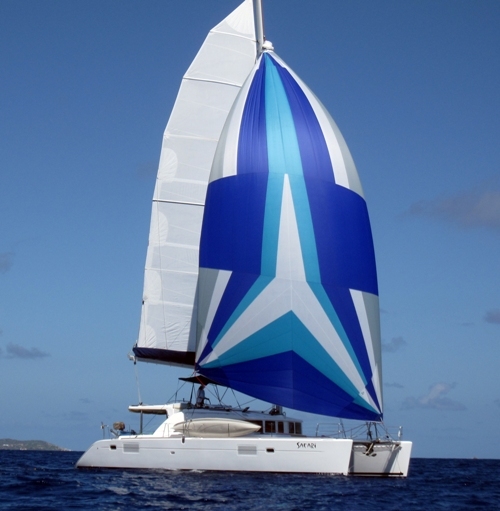 The charter yacht SILVER MOON, a 44-foot Voyage catamaran, has a last minute special offer of TEN nights for the price of SEVEN. 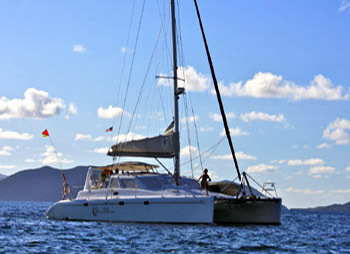 Book a charter aboard the catamaran Silver Moon to take place between January 16th and January 27th 2012 (11-night window) and receive up to 10 nights for the price of 7 nights. We know it’s last minute, but it’s a GREAT DEAL! 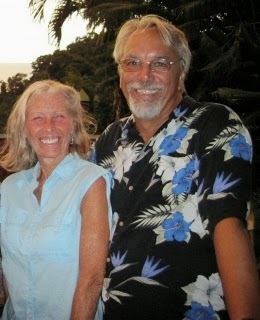 See our recent post (December 19, 2011) about Silver Moon. 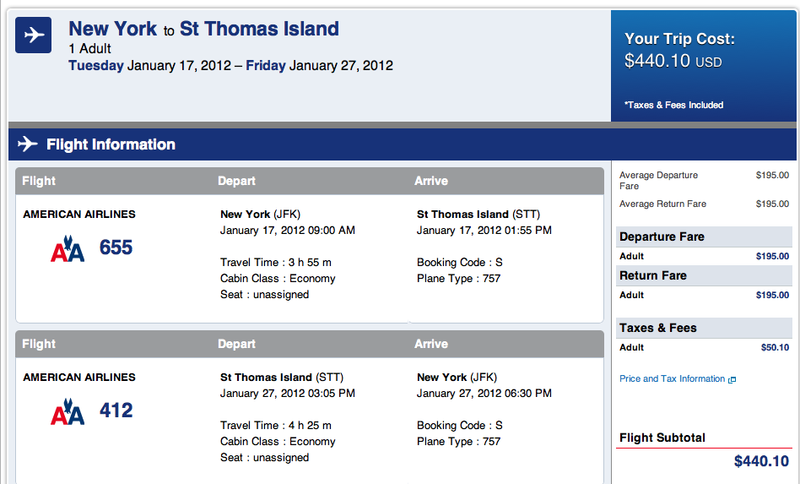 We plugged in JFK and STT for January 18-27, 2012 and we found a NON-STOP, round-trip flight for $440.10. Depart at 9am and arrive at 2pm... Cool! The above flight is for the base rate of $195 one way x 2. 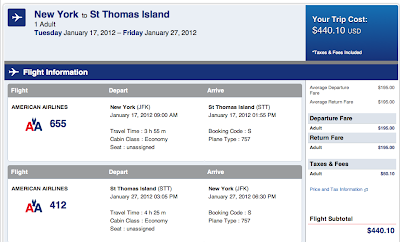 They also had less expensive flights of $155 & $165 if you were willing to stop in MIAmi or SJUan. Hope you can take advantage of this special deal... Contact us ASAP as there's not much time. 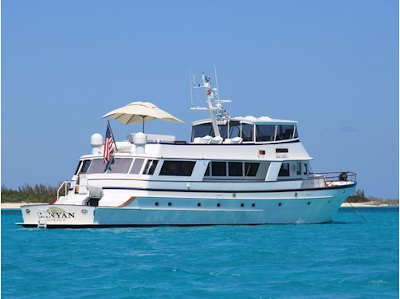 We would like to welcome ANTARES, a 48-foot Gulfstar motoryacht, to the Virgin Islands yacht charter fleet. 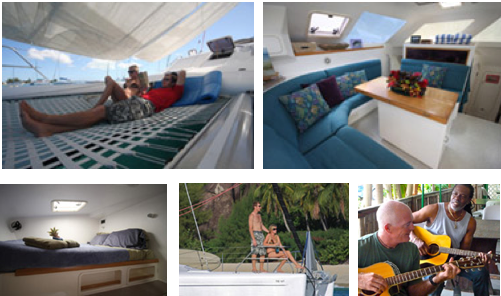 Antares has a special introductory rate of only $6500/wk for 2-person charters. 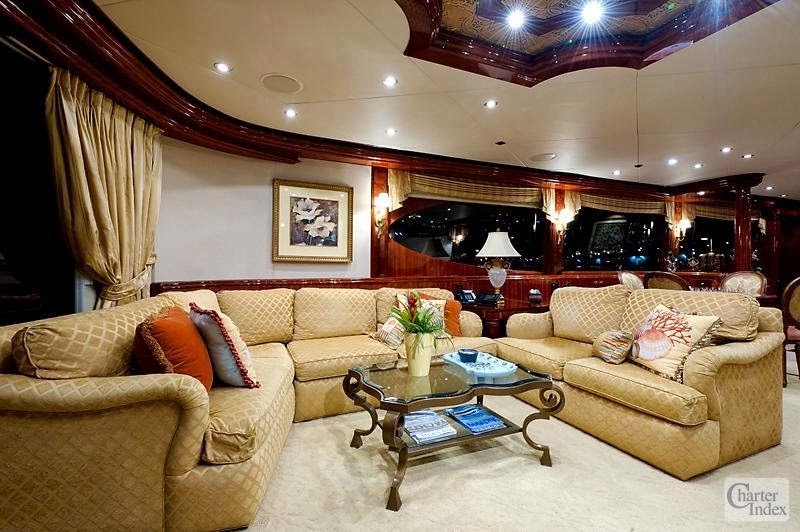 They have a very nice aft master cabin with a walk-around Queen berth and ensuite head with tub. 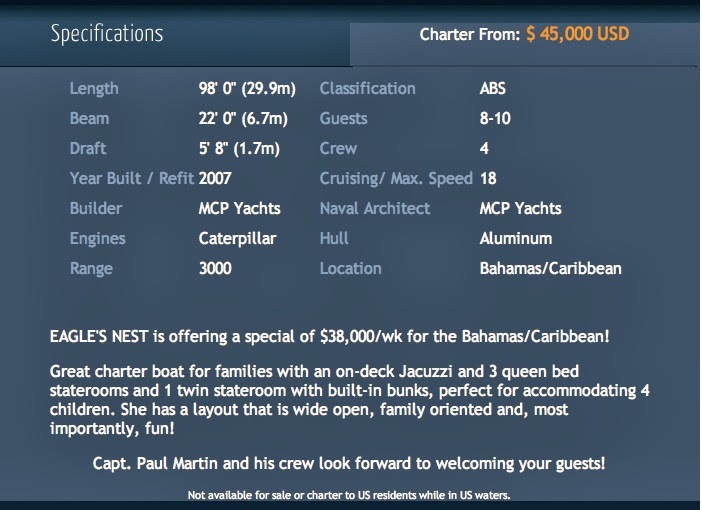 Antares is based in the Spanish Virgin Islands, and are available for charter in the Spanish, US, and British Virgin Islands. Book a 2012 yacht charter on Fidelity, a 46-foot Jeanneau sloop, before December 31, 2011 and [special offer has expired]. 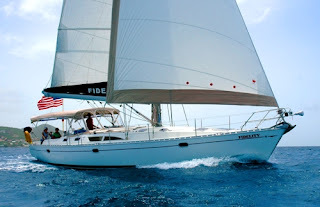 Fidelity is a 46-foot Jeanneau sloop with a crew of two. 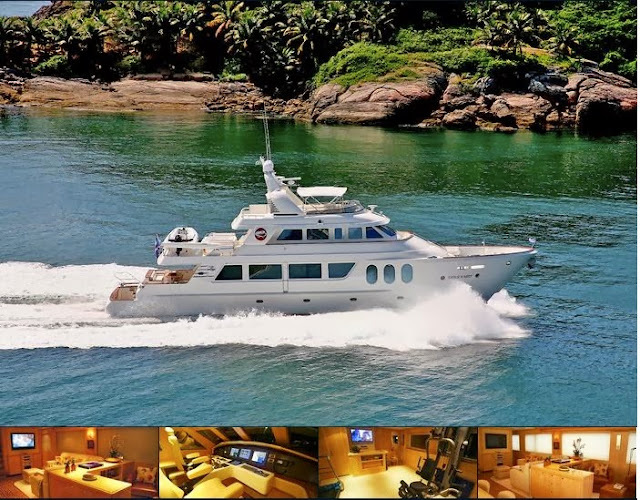 The yacht is fully air conditioned and accommodates up to 4 guests in 2 cabins with ensuite heads. The forward cabin is large and has a walkaround Queen berth. Please note that Fidelity is a smoke-free yacht. Give yourself a Christmas present! Book before the end of 2011 and save! Today is the first day of winter... where did the year go? 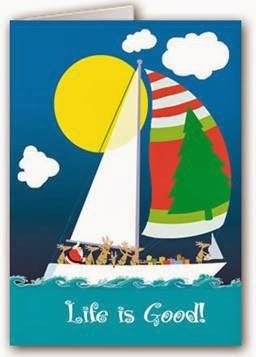 The holidays are now upon us with friends and families getting together and talking about their upcoming sailing vacation plans. We are available 24/7, like always, throughout the holidays as well. 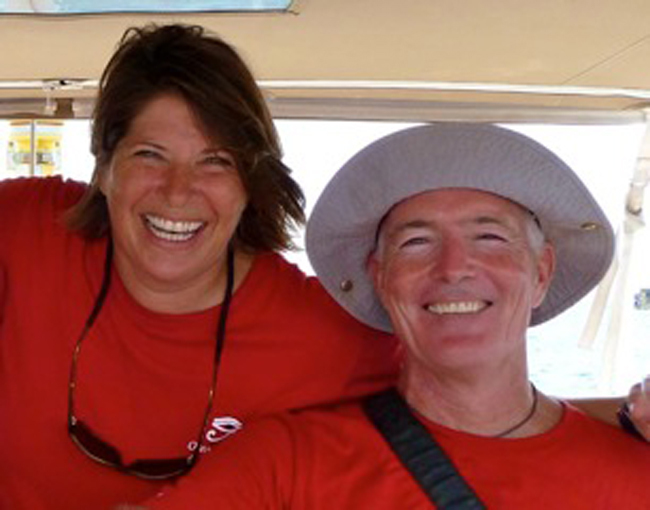 So, if you have a question or would like to start planning your yacht charter, don't hestitate to contact us. If you are interested in a European barge charter, whether for an individual cabin or for a private, whole boat cruise, be sure to check out the current specials HERE. 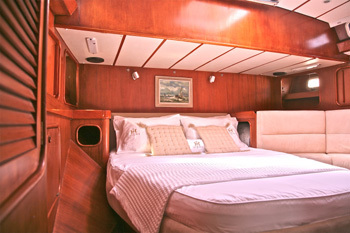 We are pleased to welcome s/y XIUMA, a 55-foot Oyster, to the Caribbean yacht charter fleet. She is owner-operated by Virginia Lee (chef) and her partner Jonathan Wehrung (captain). The name XIU-MA (pronounced shoo-mah) is comprised of two Chinese characters which translates into English as "Elegant Horse". XIUMA has twice circumnavigated the globe, crossing all of the world's oceans. 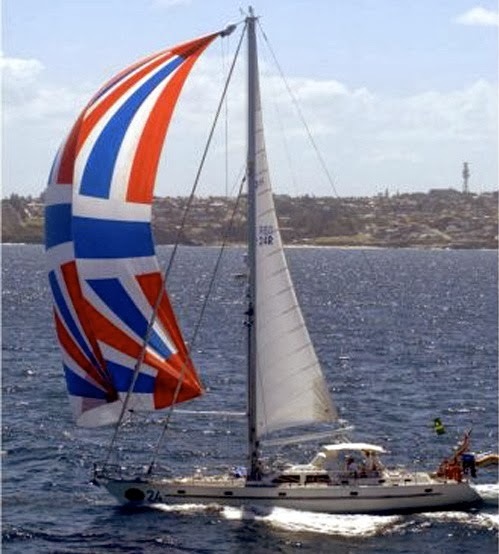 She has won the Sydney to Hobart race two times in the cruising class with her former owner under her previous name, "Capricco of Rhu". Known for her sailing performance, she is as elegant as she is fast! As a charter yacht she continues to sail at 8-9 knots even fully loaded with cruising gear and wine! 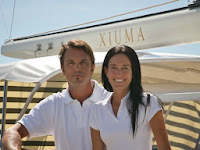 XIUMA is best suited for two guests or families of four using any two of the three cabins. 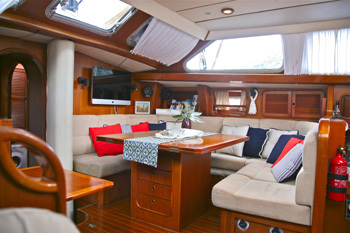 The spacious, full-width master cabin (aft) has a walk-around queen berth, ensuite electric head and stall shower. The two forward cabins share a electric head and shower. One cabin (forward) has a double V-berth, while the other (starboard) has upper and lower single berths. Virginia has chosen some very elegant custom bedding making the guest cabins even more inviting and luxurious. Jonathan is definitely an adventure-loving captain. He is certified to teach sailing, wakeboarding, waterskiing, and also snow-skiing and snowboarding! XIUMA is available for charter in the Virgin Islands this winter and plans to be in the Grenadines during the summer months. Feels a little bit like Christmas! The charter yacht SAFARI, a Lagoon 440 catamaran, has a special offer of a $1000 discount off their normal charter rates for full-week charters taking place between now and February 17, 2012 (new bookings only). 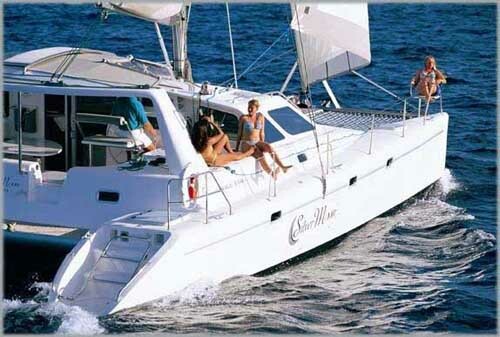 The charter yacht Safari is a 44-foot Lagoon catamaran with a crew of two. The yacht is fully air conditioned and accommodates up to 6 guests (inquire for 7 & 8, if family) in 3 guests cabins, each with Queen berths, and private ensuite head/shower. 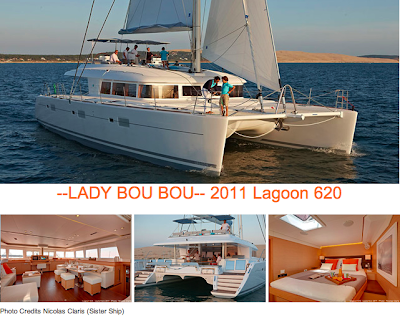 We would like to welcome the newly launched LADY BOU BOU, a 2011 Lagoon 620 catamaran designed by Van Peteghem & Lauriot Prevost, to the charter yacht fleet. 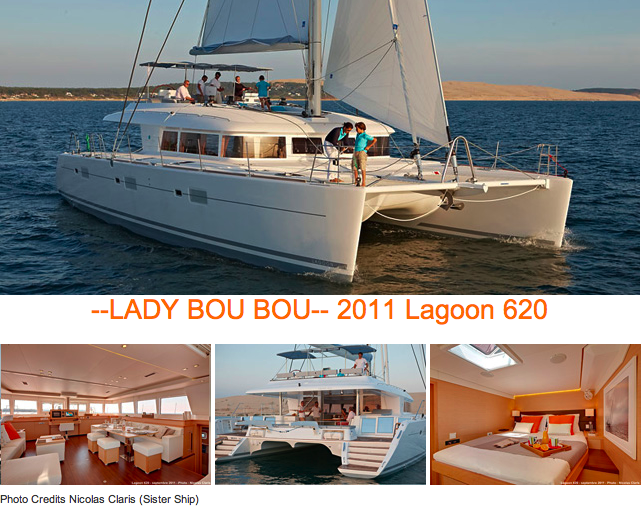 Lady Bou Bou is a 62-foot Lagoon catamaran with a crew of three. 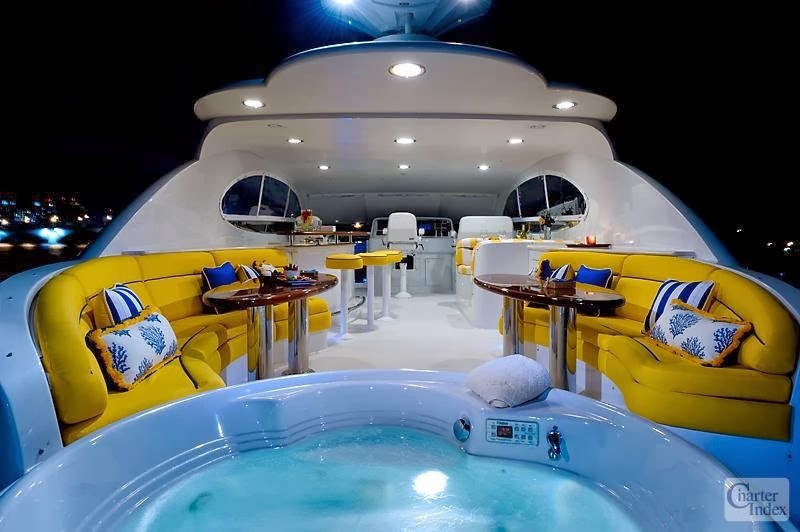 The yacht is the luxury owners version, fully air conditioned, and accommodates up to 6 guests in three cabins with ensuite private heads. The master stateroom has a walkaround king berth, the VIP stateroom has a walkaround queen berth, and the third guest stateroom has two twin berths. Lady Bou Bou will be having a photo shoot soon. Catamaran SILVER MOON... Welcome aboard! 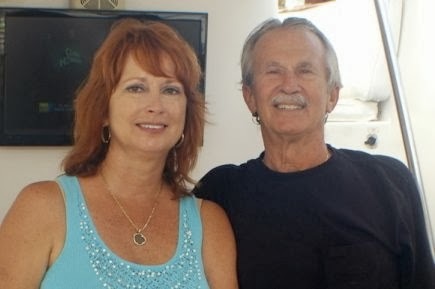 The new crew of Silver Moon, a 44-foot Voyage catamaran, has been busy getting the yacht ready for the 2011-12 charter season. A brand new 6KW Northern Lights generator enables them to now run the air conditioning anytime, anywhere and also charge batteries without running the main engines. A huge sun shade was made for the foredeck which covers the trampolines and makes for a wonderful lounging, socializing and napping area. A fresh water shower was added on the foredeck so guests can rinse off when they come up the fabulous drop down steps. They have polished the boat from top to bottom. Maggie has been decorating (including new linens) and the cabins look wonderful and inviting. 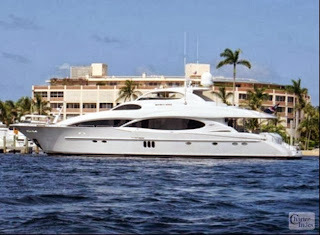 Silver Moon will be chartering up in New England this summer (2012)... All inclusive rate !! !